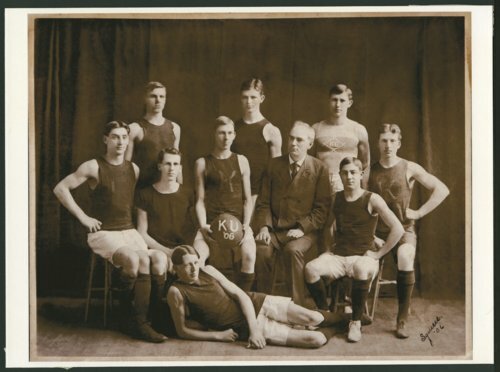 This is a photograph of the 1905-06 Kansas University basketball team. The player on the floor is Phog Allen and the player in the second row, second from left is Chester Alexander Smith. The photograph was taken in 1906.